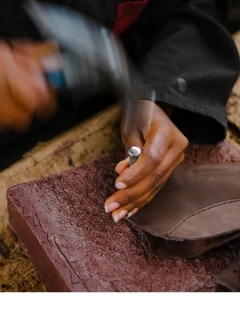 Oliberté is the World's First Fair Trade Certified Footwear Factory – Fair Trade Shoes & Leather Goods Made in Africa. 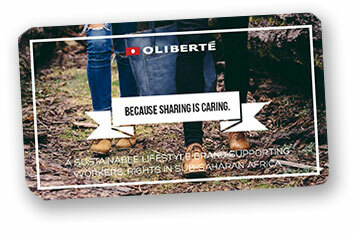 An Oliberte gift card gives the lasting gift of quality leather gear, and supports sustainable change in Africa. Below, select from email or physical delivery and choose an amount that corresponds perfectly with what your lucky recipient will want. Gift cards do not expire. Gift cards cannot be replaced or refunded if lost or stolen. Gift cards cannot be returned and cannot be exchanged for cash except where required by law. Promo codes may not be used to purchase gift cards. 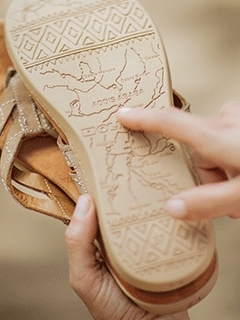 In the event that a purchase made with a gift card is returned, the original gift card will be credited. The value of a gift card is set to the currency used to purchase the gift card. The gift card can only be used to purchase with the same currency.